Provide comfort for the family of Rayford Kyles with a meaningful gesture of sympathy. 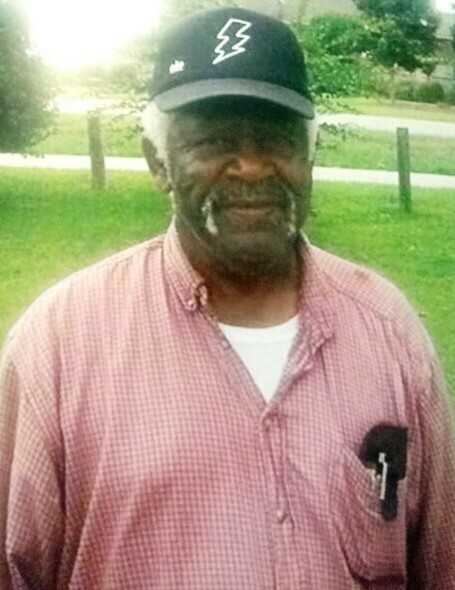 Brother Rayford “Booty” Kyles born November 13, 1943 in Finchburg, Alabama, departed this earthly life at the age of 75 on Thursday, March 212, 2019 at Thomas Hospital surrounded by his family. Brother Kyles was a faithful member of Ebenezer Missionary Baptist Church of Loxley, Alabama until he fell ill. He was preceded in death by his parents: Peter Kyles and Willie Mae Kyles Jackson, three siblings: Cullie Ree Kyles, Melvin Kyles, John Kyles and son Lenzie North. He leaves to cherish his memories a devoted wife: Barbra Ann Kyles of Loxley, Alabama, two daughters: Alice McCovery of Loxley, Alabama and Jackalena Hicks of Gainesville, Florida. Four sons: Derrick (Chassity) McCovery of Stapleton, Alabama, Willie North, Lindsey McCovery and Rico McCovery all of Loxley, Alabama. Four devoted sisters: Willie Pearl (Lovell) McCreary, Loretha (Tony) Williams, Betty Kyles all of Daphne, Alabama, Youndora Knight of Robertsdale, Alabama, and a devoted brother: Eddie Kyles of Daphne, Alabama. Fourteen grandchildren: two devoted Deven McCovery and Derrian McCovery. Two devoted brothers-in-law: Ronnie Williams and Robert Milton both of Loxley, Alabama, and a sister-in-law Voncile Kyles of Gulf Shores, Alabama. Two devoted nephews: Kerry Williams of Fairhope, Alabama and Chris Williams of Loxley, Alabama. Two devoted friends George Jerkins, Tommy Lee Morris, and a host of other nieces, nephews, relatives and friends. His remains will lie in state on Friday, March 29, 2019 from 5pm until 8pm at Small's Mortuary, Daphne, Alabama. A visitation will be held on Saturday, March 30, 2019 from 9am until the 11am funeral hour at Greater Pine Grove Missionary Baptist Church, 27277 Boaz Road W, Loxley, Alabama. Interment will follow in Ebenezer Church Cemetery, Loxley, AL. To send flowers to the family of Rayford Kyles, please visit our Heartfelt Sympathies Store. We encourage you to share any memorable photos or stories about Rayford. All tributes placed on and purchased through this memorial website will remain on in perpetuity for generations. Provide comfort for the family of Rayford Kyles by sending flowers.